Councils called for a scrap in parking charges recently following reports of booming trade in Cardigan, Mid-Wales, after pay-and-display machines were broken by vandals. Shopkeepers reported huge increases in turnover, with some up as much as 50%. Portas also notes that the more progressive local authorities are providing free parking at certain times or are freezing parking charges. This begs the question – should parking charges be removed or changed to aid our declining high streets? It’s no secret that since the growth in large out-of-town shopping centres, local high street stores have struggled to compete. Business owners in Cardigan suggested that the temporary removal of parking restrictions “levelled the playing field” when it comes to competing with these shopping centres where parking is often free. Despite efforts to regenerate high streets and make them more appealing to consumers, the latest BDO high street sales tracker recorded a further month of decline in August, with sales falling by 4.3% compared to the same month last year – the worst performance since November 2008. Much of this can be attributed to an increase in spending on leisure activities, including holidays abroad. The strong pound hasn’t helped the high streets as consumers are spending more on items abroad while tourists are more reluctant to spend. As it is often cheaper to shop online and pay for delivery charges than it is to pay for parking for a couple of hours, it is little wonder people are less likely to shop on the high street. The threat of parking tickets is also a deterrent for many. Earlier this year, high streets minister, Marcus Jones, claimed “unfair parking fines push up the cost of living and undermine high streets”. So what is being done to address this issue? Many of the Portas pilots trialled parking initiatives to bring more people to the high street. The ‘free after three’ initiative is one that has been introduced in a number of places since and has shown to have made a difference. Visitor numbers increased in Salisbury following a six month experimental period of the initiative. Nearly double the number of cars used the car park per week, making the town noticeably busier. Just last month, Chippenham launched its own ‘free after three’ pilot initiative on Thursdays to support local businesses. It’s hoped that this will help shops and offices as well as improve the evening economy. Rotherham Borough Council, for the fifth consecutive financial year in 2014/15, planned for no increases in the cost of parking. Portas suggests that it is no coincidence that 55% of shoppers in the town centre came by car, compared to 29% in 2009. 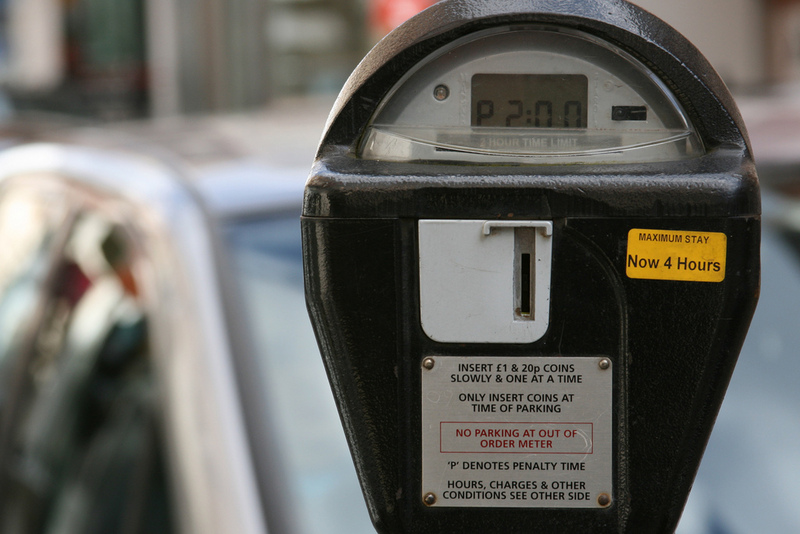 Despite the evidence in support of free parking in town centres, it is also something that could easily be met with opposition. With calls to reduce car use and tackle emissions from vehicles, particularly in larger towns and cities, a balance needs to be struck. Long term support for Town Teams and simplification of the process of forming BIDs. Clearly, parking is an important part of the picture in our smaller towns and cities, particularly in an age where convenience is key. If our high streets are to be viable, it’s something that councils need to think about carefully as part of a strategic approach to local economic development, rather than only as a way to manage traffic and generate revenue for traffic improvements. With the extent of town centre decline in recent years, the potential of the night-time economy in the UK has arguably never been more important. Earlier this year, a new industry organisation launched to highlight the importance of nightlife to the economy – the Night Time Industries Association (NTIA). And towns and cities across the UK are continuing to gain Purple Flag accreditation, recognising excellence in the management of town and city centres at night. Our new member briefing on managing the night-time economy highlights its potential value and the challenges which need to be addressed. It explores good practice in planning, managing and supporting the night-time economy. The evening and night-time economy is an important driver of tourism, leisure and business growth within our towns and cities. It consists of a wide range of activity in town and city centres between the hours of 5pm and 6am, including pubs, clubs, cafes, restaurants, retail, cinemas, theatres or concerts, meeting friends or attending community events. Balancing the competing demands of economic development, public safety and quality of life can be a challenge however and requires effective partnership working and engagement with residents and businesses. Until recently, the value of night-time activity has often been overlooked. The first research ever to look at the value and reach of the UK’s evening and night-time economy was undertaken by TBR and night-time economy specialists MAKE in 2010. It estimated the total value of the night-time economy in the UK at an impressive £66bn, employing 1.3 million people. This figure is estimated to be about £70bn now, representing about 4% of Britain’s economic output. The NTIA’s new report emphasises the significant economic and social contribution the night-time economy makes to the UK. According to the report, there were 1.5bn day visits to the UK in 2014, 300 million of which had a meal or night out as their focus. Spending on night-time related activities represented 21% of the £52bn spent on day visits. Offering a range of cultural activities can attract a more diverse population to urban centres later into the evening, including families and older people. It can also enhance their international appeal. Manchester City Council recently highlighted the benefits of the city’s 24 hour offering. 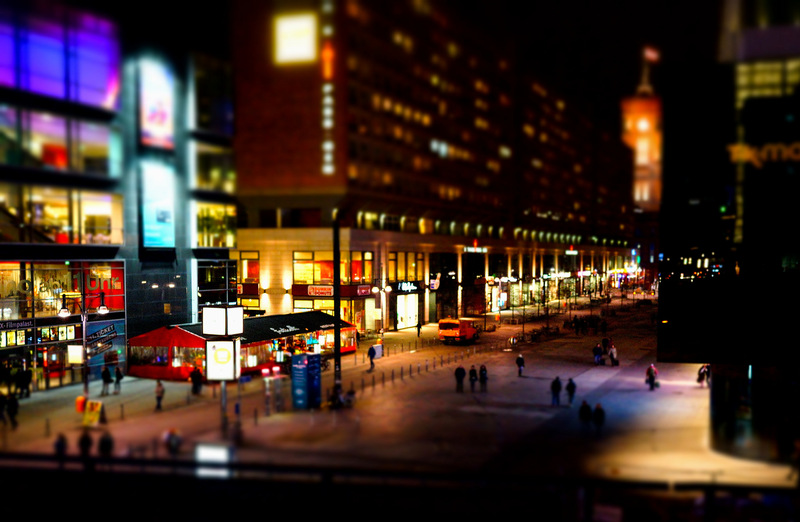 It estimated that 150,000 people visit the city centre each weekend to take advantage of its nightlife. London is set to join New York, Chicago, Stockholm, Copenhagen, Berlin and Sydney, by offering a new Night Tube service. It has been estimated that the new service will lead to a gross impact of 1,965 permanent jobs, with the net additional output equating to an additional £360m. Despite the obvious potential, the NTIA argues that regulation and a culture of fear remains a barrier to realising this potential. Negative perceptions related to crime, anti-social behaviour and alcohol-related violence are often highlighted by the media as typical features of the night-time experience. Alcohol-related anti-social behaviour has long been recognised as a challenge for the night-time economy. Nevertheless, such behaviour has actually been in decline in recent years. Recorded crime is currently 38% lower than in 2002-03 and, of all the incidents, fewer than one in five occurs in pubs. Indeed the last decade has seen much progress in the organisation, regulation and control of town centres after hours. The Licensing Act 2003 and Licensing (Scotland) Act 2005 abolished set licensing hours in England and Wales, and Scotland in an attempt to make the system more flexible and reduce problems of drinking and disorder associated with a standard closing time. The Act gave licensing authorities new powers over licensed premises, whilst giving local people more of a say in individual licensing decisions, in the hope that in the longer term its provisions, together with other government initiatives, would help to bring about a more benign drinking culture. With regard to alcohol policy, various initiatives have been used to engage the industry in local partnerships, including: Best Bar None, Pubwatch, Community Alcohol Partnerships and Purple Flag. Since Doncaster introduced the Best Bar None scheme in 2006, violent crime has fallen by over 40% in the town centre in the evening. Business Improvement Districts (BIDs) have also been important. The first BID dedicated to the night-time economy was created in Nottingham in 2006. By 2009, Nottingham had become a Beacon City for its work on managing the night-time economy, achieving Purple Flag status the following year, which it has successfully retained every year since 2010. The BID’s budget, paid for by a 1% levy on business rate payers, raised about £260,000 a year. It supported events like the food and drinks festival, paid for taxi marshals on Friday and Saturday nights, introduced and supported Best Bar None and commissioned murals for vacant units in the city centre. Newcastle’s BID, NE1, launched the ‘Alive after Five’ initiative in 2010 aimed at encouraging greater use of the city centre in the early evening gap between the day-time and night-time city. It is estimated to be worth £350m and has attracted an additional 7.9m additional visitors in to the city post 5pm. As our briefing concludes, although there are inevitable costs involved in developing the night-time economy, the evidence suggests that these are outweighed by the benefits. Research undertaken in Sydney shows that the annual principal costs of managing the night-time economy are hugely outweighed by the turnover of businesses at the heart of the city – $127m and $2.7bn dollars respectively. The Idox Information Service can give you access to a wealth of further information on economic development – to find out more on how to become a member, contact us.